"LIGHTNING STRIKES TWICE" part 6! You've seen glimpses of him. You've witnessed the carnage he's unleashed on Central City. 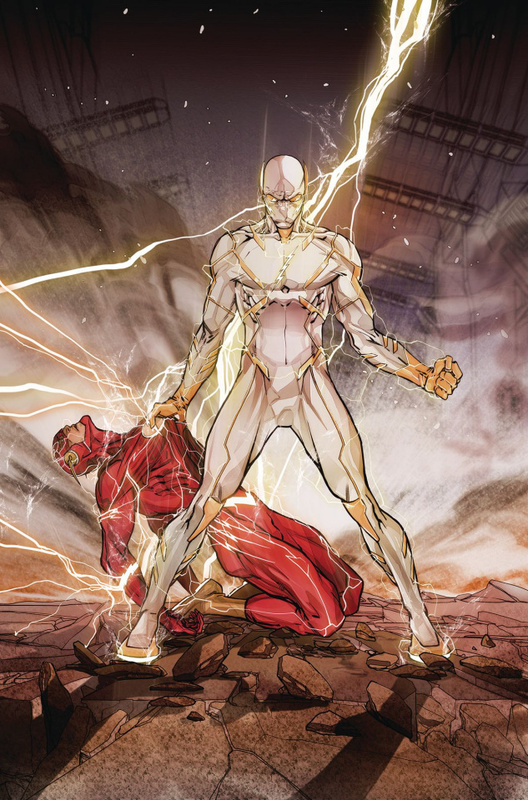 Now meet Godspeed, the super-speed serial killer who murders speedsters and steals their powers. Barry Allen is going to need help!